Russell Maple Farms is a family owned and operated maple farm located in the pristine forest lands of Bradford County's scenic Endless Mountians. Maple syrup and pure maple products have been produced here on the farm by the Russell family since 1918. 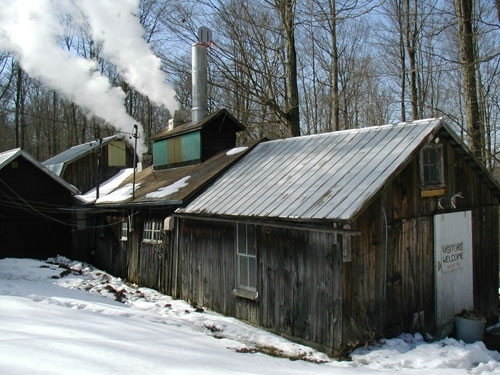 Russell Maple Farms is also your source for maple sugarin' equipment and supplies. An active beef cattle farm compliments the maple farm. Extra hay from the farm's crop land is available packaged in the old traditional square bales or 4x5 round bales.